Congratulations on your engagement! As your wedding approaches, you're going to have a lot going on. Let Desserts By Design take one of those worries off your plate by making you a beautiful wedding cake and trays of sweets! Whether your guest list is big or small, Desserts By Design is here for you, making sure that your guests will still be talking about "that gorgeous cake" and "those yummy sweets." 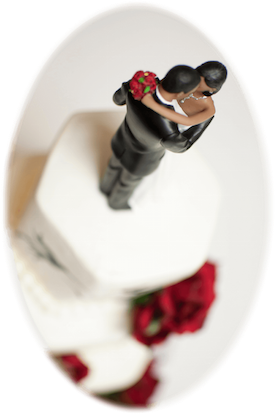 Whether you want a traditional wedding cake or a custom one-of-a-kind, we're creative, flexible, and collaborative, always focused on giving you the wedding cake of your dreams. Everyone loves a tray of sweets! Whatever your event - wedding, birthday party, holiday party, Saturday night company - Desserts By Design will build you a tray or table of assorted treats so inviting that you'll have wall-to-wall smiles.